The tour begins at the new Sun Arena at Time Square, Menlyn Maine, Pretoria on Friday, 11 May 2018 at 8pm followed by two shows on Saturday, 12 May 2018 at 3pm and 8pm and one show on Sunday, 13 May 2018 at 3pm. The three Cape Town performances on Friday, 18 May 2018 at 8pm and Saturday, 19 May 2018 at 3pm and 8pm take place at the Grand Arena, GrandWest. Tickets are on sale at Computicket. Dynamo Live is brought to this country by local promoter, Showtime Management by arrangement with Phil McIntyre, CAA and Inner Circle Films, in association with media partners 947 and KFM. 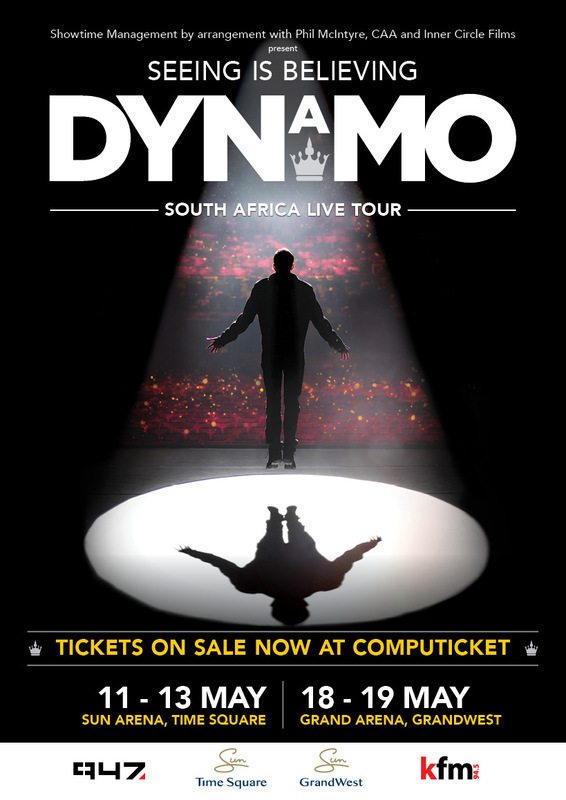 “We are excited to welcome Dynamo to South Africa and give his many fans with the opportunity to see his magic skills in what is a spectacular and unique live stage production,” says Showtime’s Tony Feldman. Dynamo, whose real name is Steven Frayne, is well-known for his multi award-winning television series “Magician Impossible” that has seen Dynamo visit 10 countries and astonish thousands of people across the continents, including South Africa. In a short-time he quickly established himself as one of the world’s most popular and best loved magicians, with his series airing in over 180 territories worldwide, reaching over 400 million cumulative viewers globally. He’s the first magician in history to headline the world famous O2 in London and he was awarded the highest accolade by the magic circle with his promotion to Member of the Inner Magic Circle with Gold Star, a position only held by 300 magicians worldwide, including HRH Prince of Wales. Over the last six years, Dynamo’s ascent from unknown, working class magician, hailing from the poverty-stricken Delph Hill estate on the outskirts of Bradford, to multi award-winning, global superstar, has been nothing short of miraculous. After the hit television series, ‘Magician Impossible’ Dynamo’s ‘Seeing is Believing’ stage show quickly erupted from a 10-date run into a year-long world tour as Dynamo spread his magic and filled arenas by playing 127 shows with over 600 000 plus tickets sold making it one of the largest scale magic shows in the world. Dynamo “fever” spread resulting in the highly successful Dynamo UK tour that sold out on 400k tickets and the Australia tour sold out on 100k tickets. 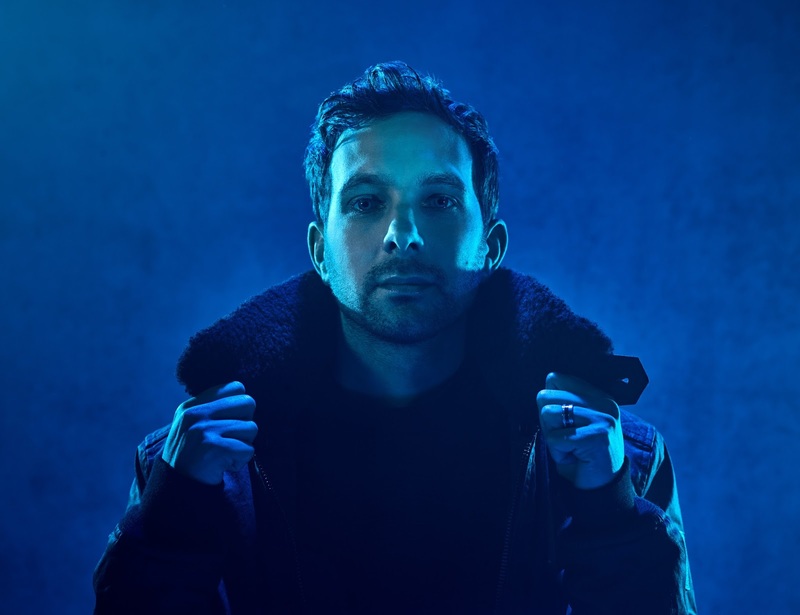 Not only has he redefined the shape of modern magic for the millennial generation much like Blaine in the late 90’s and David Copperfield in the 1980’s; Dynamo’s approach to large scale illusion (the big stunts are never pre-publicised and use well known landmarks as their backdrop) has allowed him to connect with young people and re-energise the genre in a way not seen for a generation. It is this impact that has helped Dynamo transcend the world of magic to become a bona fide pop culture icon, with giants from the worlds of music, film and sport enthralled by his performances. Brad Pitt made a surprise visit to watch Dynamo’s live show with his kids as did fashion icon Kate Moss and artist Damien Hirst. Will Smith called Dynamo’s performance “absolutely astonishing” and Cristiano Ronaldo and Jay-Z have both hired him to perform at private functions. “I honestly believe people need magic in their lives as it brings a sense of hope and wonder that is often lost in the day to day” he said in a recent interview. “Everyone needs magic in their lives” he added. Book your magic now at Computicket. Call 0861 915 8000, visit www.computicket.com or your nearest Computicket service centre. For further information visit www.showtime.co.za or www.dynamomagician.com Stay current on the latest news through social media on Facebook Twitter , Instagram and YouTube.